It’s coming into low tide and in the clear water it’s easy to see the fascinating creatures that live in this Eden under the water. A strange brownish-red ball of shaggy tassels can be found sitting on clumps of Codium tenue, a macroaglae species, the shaggy sea hare (Bursatella leachii). These odd gastropods have no shell and are named for the two extended ear-like structures on their heads, making them look like the terrestrial hares. They are about 10cm in length and munch on alga or decaying matter. If disturbed they will produce a bright purple ink to deter any predator from eating them. As they prefer low intensity water flow, the canals of Thesen Islands Marina provide a perfect habitat for the population of sea hares to live in. Figure 1: Sea hares in the canals of Thesen Islands Marina. During summer and winter of 2016 two areas, jetty and their adjacent channel areas, were investigated within the middle region of Thesen Islands Marina to determine where these creatures preferred to stay and gain a better understanding of their habitat preference. I also wanted to know where within the jetty and channel areas were spending most of their time. Figure 2: Nina counting the number of sea hares. In summer more sea hares were found in jetties but it seemed as though they moved into the channels during winter. Generally in jetties areas, sea hares were found all over the jetty. This is probably because the water flow in jetty areas does not vary by much and so there is no danger of being swept away. Within channels the sea hares clung to the edges probably in fear of floating away, as the channels have greater currents as well as the hustle and bustle of residents’ boats moving up and down the marina. 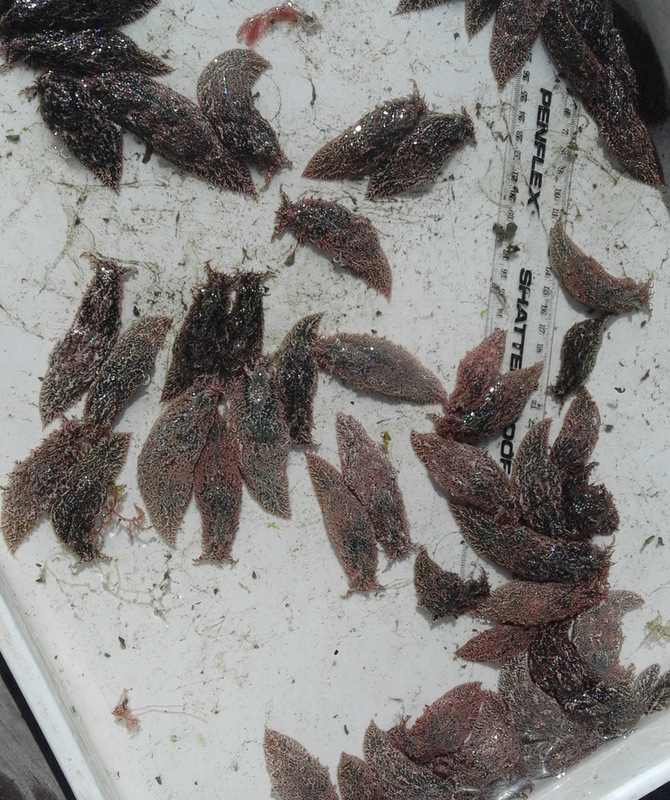 Figure 3: Measuring the total extended length of the collected sea hares. Figure 4: Study has given insight into their growth rate and habitat preference. While counting their numbers I also managed to scoop up a few to measure their total extended length that is, once they had stopped curling into balls. In the three months of research these little guys grew about 20mm. Although we still do not know a lot about the ecology of the shaggy sea hare this study has given better insight into their growth rate and habitat preference.